This is a picture of "The Hanging Gardens of Babylon" which was located in present day Iraq. It was one of the original "Seven Wonders of The World". In this broadcast, Voice of America's Special English series tells us about those original wonders. Click on the player, listen, and read. Some experts believe the stones were cut from solid rock about 380 kilometers away in Wales. One of the huge stones weighs as much as forty-five tons. Experts say Stonehenge may have been built as some kind of ceremonial or religious structure. Much has been written about Stonehenge, but experts say they still are not sure what it was used for. 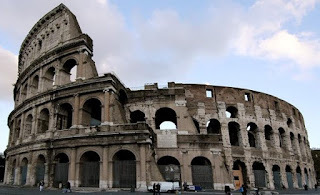 Another famous ancient structure is the Colosseum in Rome, Italy. It was built almost two thousand years ago. The ancient Roman sports center could hold fifty thousand people who gathered there to watch public events. Experts say it is one of the finest examples of Roman design and engineering. 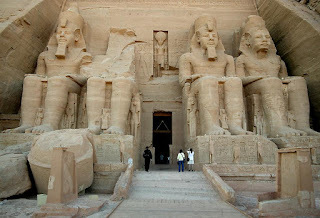 Today Abu Simbel is safe. It looks much the same as it has for the past three thousand years. It will continue to honor the ancient king and his queen for many years to come. And it will honor the modern world’s efforts to save a truly great work of art. Comprehension Check. Choose the correct answer. a: The Greek God Zeus. b: The lighthouse at Alexandria. 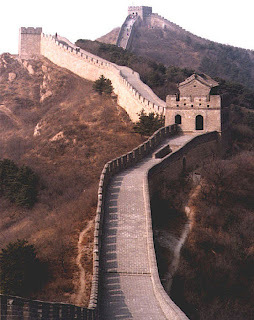 c: The Great Wall of China. 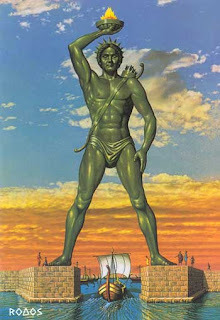 a: The Colossus of Rhodes. 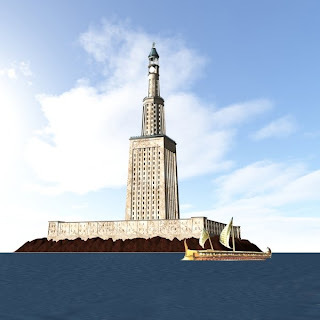 c: The Pharos of Alexandria. d: The Temple of Artemis. 3. 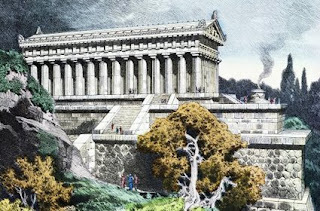 Which of the following was not on Herodotus's original list of the Seven Wonders of The World? 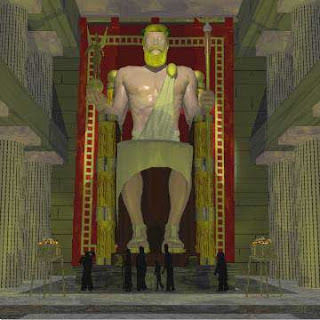 b: The statue of Zeus. c: The Hanging Gardens of Babylon. d: The Mausoleum of Halicarnassus. a: the Greek historian, Herodotus. b: the city of Cuzco. d: the rising and setting sun. a: they had good navigation equipment. b: they had at least one Egyptian sailor. c: the fish jumped near the coast. d: they could see the fire on top of the lighthouse. a: was destroyed by an earthquake. b: was built as a temple to honor a goddess. c: was constructed to host sporting events. d: was a place to calculate the sun's movements. a: wanted to replace them with apartments. b: wanted to build a dam. c: wanted to move them to another location. d: wanted to sell them to the United States. a: the original seven wonders. b: precious monuments destroyed by earthquakes. 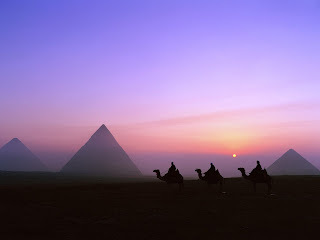 c: the ancient wonders that would have been on the list if Herodotus knew about them. d: The seven ancient wonders and other ancient wonders as well. a: "Ancient Wonders and Then Some." b: "The List of Destroyed Ancient Monuments." c: "The life of Herodotos." d: "Famous Temples of The Ancient World." Vocabulary Check. Fill the blanks, then check your answer. 1. The most famous statue in the ancient world was the Greek God . 2. The word comes from a huge ancient marble burial place built to honor a deceased king. 3. It took more than one hundred thousand men working 30 years to build the . 4. "The Hanging Gardens of " were located in present day Iraq. 5. A Greek historian named made a list of what became known as the Seven Wonders of the World. 6. The Pharos of was an ancient lighthouse. It was destroyed by an earthquake. 7. The of China was built more than two thousand years ago. 8. 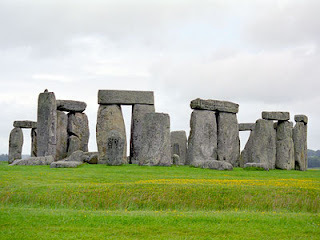 Experts think that in England was a ceremonial or religious structure. 9. 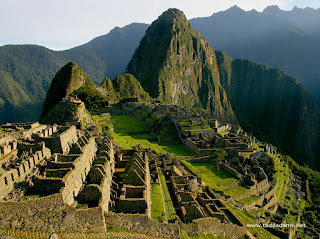 If Herodotus had visited Peru, would have been included in his list of the Seven Wonders of The World. 10. 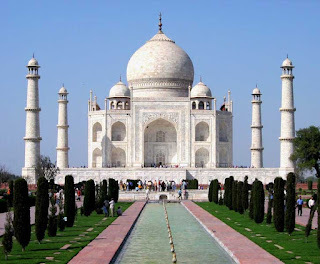 The , in India, was built as a burial place in memory of Shah Jahan's wife.